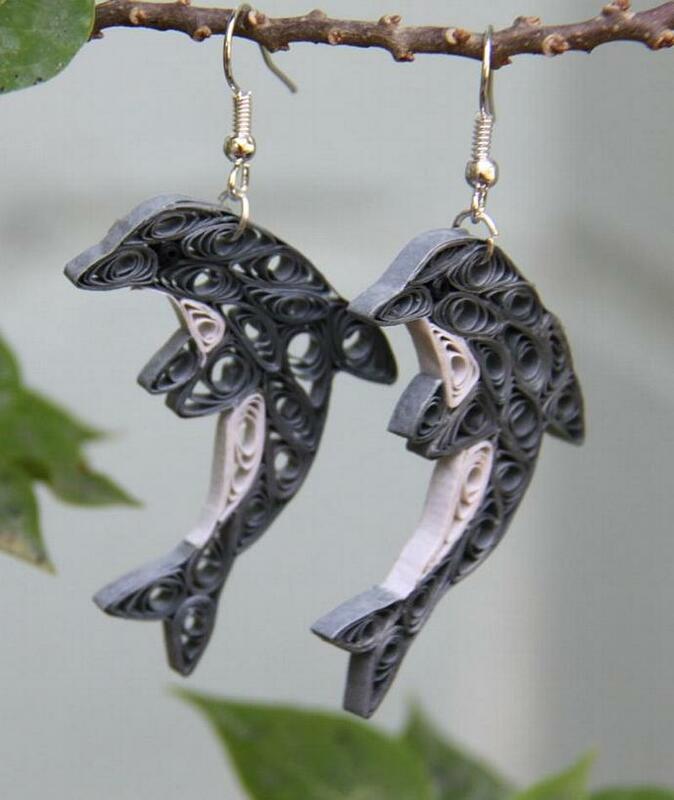 Dolphins are one of the world's most favorite animals, and for good reason. They are playful, loving, and very intelligent! 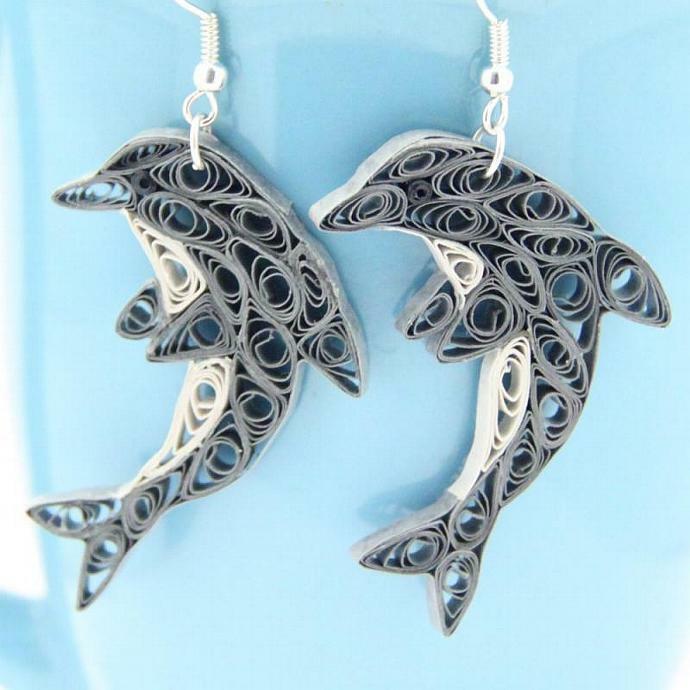 Though these dolphins cannot communicate like real dolphins, they are sure to be a great conversation piece and make you feel as joyful as a dolphin jumping out of the waves! 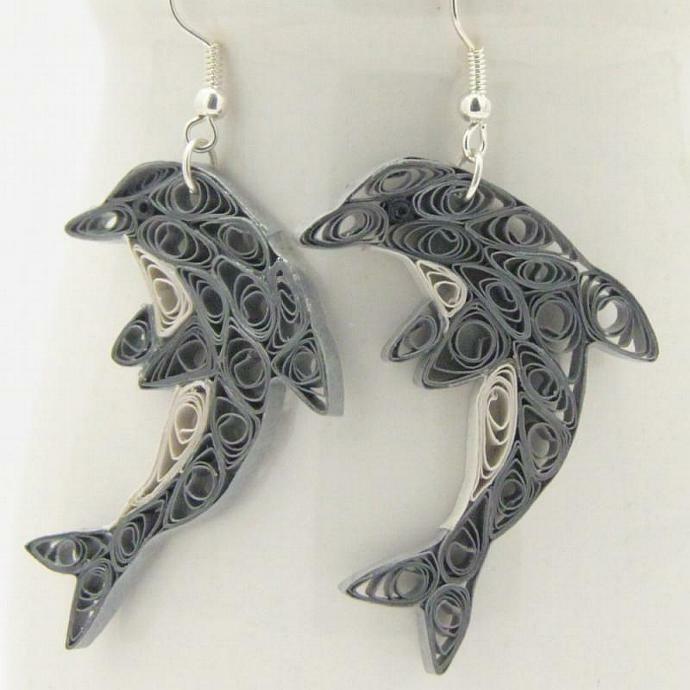 These dolphin earrings are eco friendly and handcrafted by the art of paper quilling. 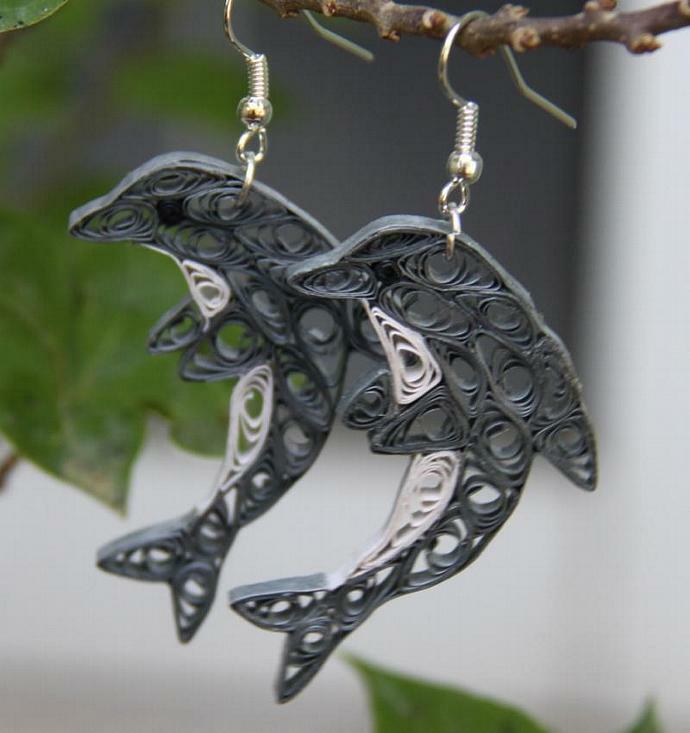 They will be finished with niobium findings (the photos show silver plated but yours will be niobium unless you request otherwise). Why niobium? It is as hypoallergenic as pure gold and is non tarnish, I love it! 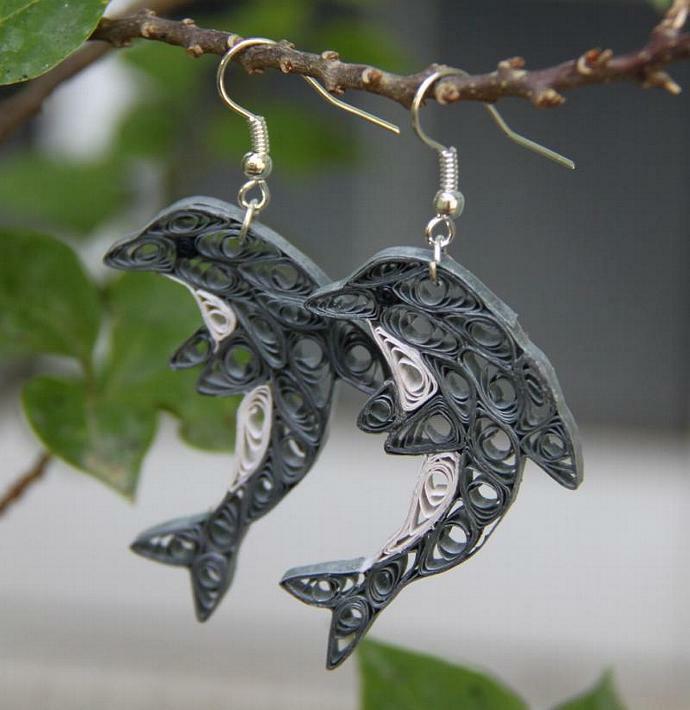 Each earring measures 2" long. If you like the design, but prefer a different, let me know and I can make you a custom pair in any color (or combination of colors) you wish!